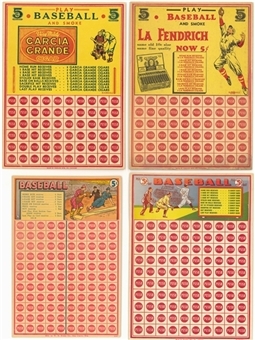 Offered is a 9-count collection of ununsued baseball punch boards from the 1930s to the 1950s. 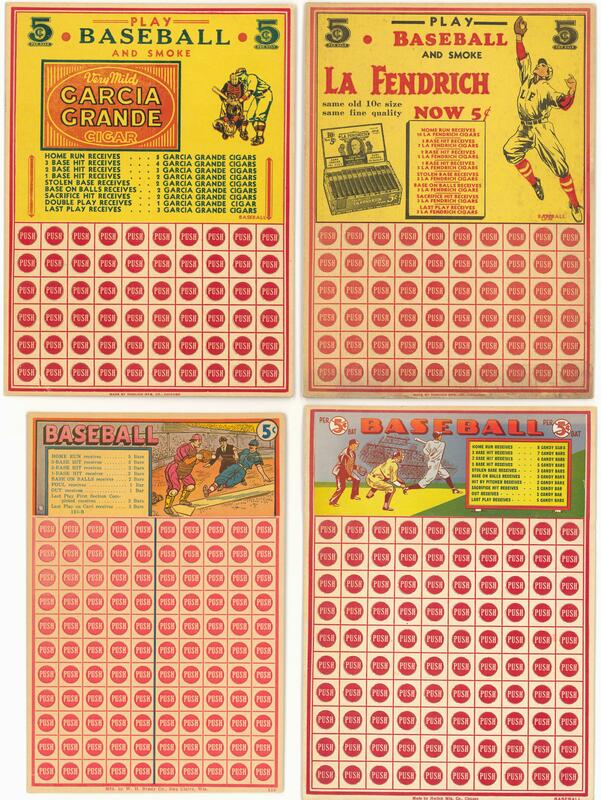 The contents of these 6-1/2" square to approximately 10-1/4" x 11-1/4" pieces include: One-Cent Baseball (2) - Includes: "Baseball" (2 Different); Five-Cent Baseball (7) - Includes: "Baseball" (3 Different), "Play Baseball and Smoke" (2 Different), "Double Play Baseball Bingo" (slight surface wear to the foil squares) and "Play Ball." 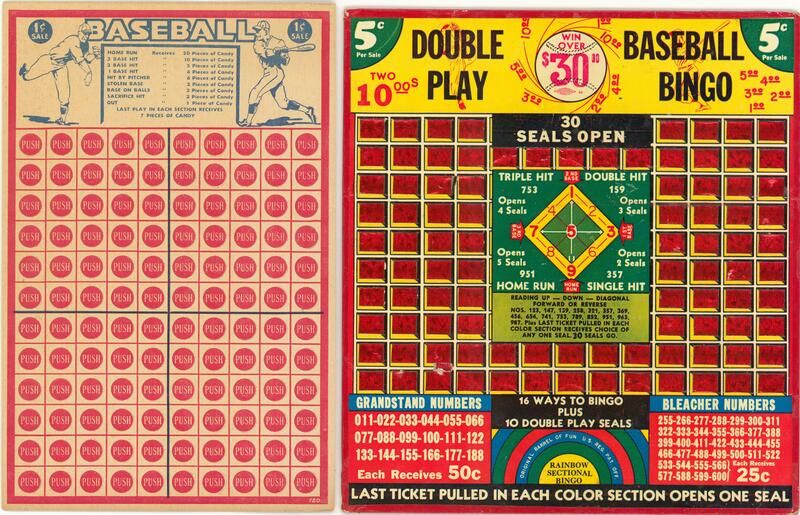 Overall, the pieces range present at the EX to EX/MT range (all of the tabs are intact).